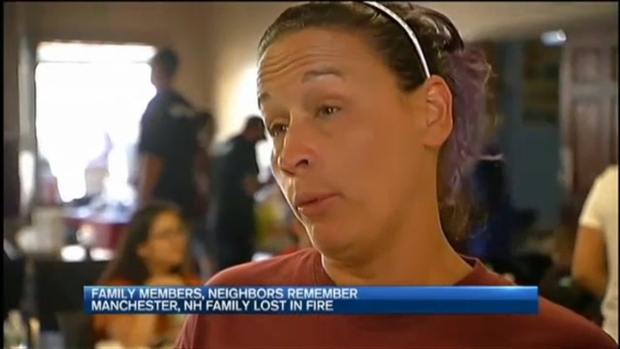 As a neighborhood works through the immense grief of losing an entire family in Manchester, New Hampshire, fire officials are describing how difficult it was to witness such a tragedy. 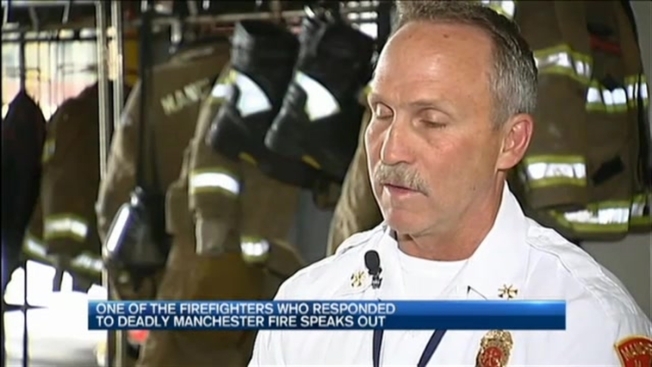 Even after 28 years on the job, Manchester Fire District Chief Hank Martineau admits some things never get easier. "All of us get into this business thinking we can save everybody," he said Wednesday. "Unfortunately, fires like the other day, it doesn't always happen that way." The raging fire that broke out on Wilson Street killed an entire family, including two young stepbrothers, Joshua Harrison and Jay Michael Garon. Tonight the community came together, as they searched for answers and honored the four lives lost. "They were probably gone well before rescue was provided on scene due to the intense heat and smoke throughout the building," Martineau said. Martineau says it was all hands on deck as the alarm sounded around 5 a.m. Monday. "Just the tone and how quickly the alarm was sounding, you could tell things are escalating rapidly," Martineau recalls. Within three minutes, he says the incident commander ordered firefighters into rescue mode. "These guys are putting their lives at great risk," Martineau said. Without the support of a water line, the men and women rushed into the burning building to try and save the victims. "These guys do the best they can and every time that bell goes off they go without hesitation," Martineau said as the alarm sounded - a fire call interrupted necn's interview Wednesday afternoon. "I got to go," Martineau said before jumping into action - it was a smoke detector call, but no fire, so he continued speaking about the tragedy. Martineau said it's been about 26 years since a fire in the city claimed more than one victim. He says a mother and her three children died on Christmas Eve. "At the time, I had a 2-year-old son, it was difficult," he said. Martineau says that will be the case on Wilson Street, too - Manchester firefighters will forever remember the family they tried so hard to save, but couldn't. "That never leaves you," he said. "You drive through that neighborhood and you think about them." Dealing with this tragedy will be different for everyone, but Martineau says many firefighters rely on each other and the brotherhood of the fire service. He says a state incident response team will be in Manchester Thursday to help firefighters work through this.